What are the new gTLDs - New Domain Name Extensions? gTLD stands for "generic Top-Level Domain". In the Internet world gTLDs are often referred as Domain Name Extensions (e.g. .COM, .ORG, .NET). New gTLDs are the expansion of generic Top-Level Domains in the Domain Name System. New Domain Name Extensions contain specific keywords suited to your area of interest (e.g. .SALE, .STORE, .ENGINEER, .ACCOUNTANT, .EXPERT, .LAW, .HOCKEY, .GOLF, .PIZZA, .COFFEE, ...). ICANN (Internet Corporation for Assigned Names and Numbers) have started releasing New gTLDs in Q2 of 2013. Many New Domain Name Extensions are already available, and over 1,300 new domains would become available in the next few years. 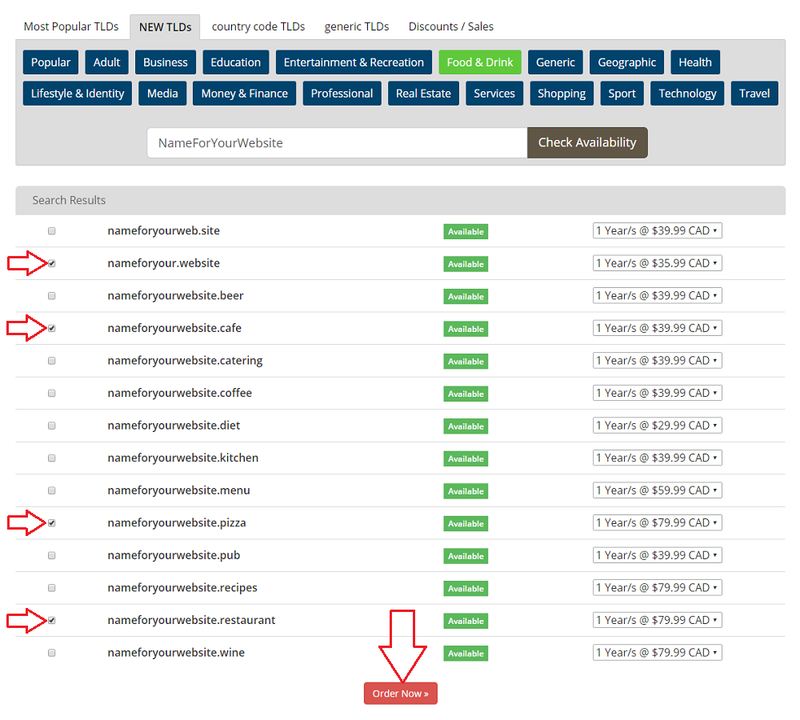 SKGOLD Hosting has created the intuitive Domain Checker tool. 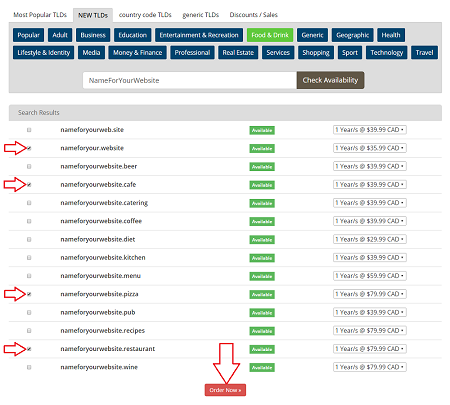 Our Domain Checker has been designed the way that you can quickly and easily look up a domain availability within hundreds of different New gTLDs. Use the directions below and secure a domain name that sends the right message and tells your visitors who you are and what your website is all about! Click the NEW TLDs tab. Type a Name for Your Website in the search field and click a Category button. Select the checkbox beside your desired domain name and click the Order button. Follow the simple checkout procedure. Find the new domain that tells YOUR story! Get your name TODAY, before someone else does.